Your smile plays an important role in how you face the world. If your teeth are crooked, discolored or otherwise don’t appear how you wish they would, you’re not going to feel comfortable smiling, laughing or talking. Fortunately, numerous cosmetic dental procedures are available to give you the beautiful smile you’ve always wanted. But what about cost? Many people don’t think they can afford the smile of their dreams. Cosmetic dentistry is actually more affordable than many people realize. Let’s take a look at some of the most common cosmetic procedures and what payment options are available. Cosmetic dentistry involves any procedure which focuses on improving the appearance of the teeth, gums and/or bite. Improvements focus on tooth color, shape, size, alignment and just the overall smile. Cosmetic dentistry can be as simple as a quick whitening procedure or as complicated as a total mouth reconstruction. Tooth Whitening – Teeth can become discolored due to a variety of reasons. Extrinsic discoloration is caused by staining of the enamel. Common causes of extrinsic discoloration include coffee, wine, and cigarettes. Intrinsic discoloration is caused by an internal tooth issue. Medications, genetics, and disease can all potentially affect tooth color.While grocery and retail stores have plenty of at-home whitening solutions, a visit to the dentist will typically give you much better results. Only a dentist can identify the cause of your tooth discoloration and design an effective treatment plan. Dental whitening treatments include custom whitening trays, UV lasers, adjustments to prescription medications and more. In-office dental whitening is almost always more uniform, more natural looking and longer lasting than at-home methods. Crowns and Bridges – Do you have teeth which have been seriously damaged due to an accident or decay? A crown is an artificial cap which completely covers the top of a tooth. Each crown is created to match the existing look and color of your surrounding teeth. Bridges are used to replace missing teeth. The artificial tooth is secured on both sides by crowns which are bonded to the adjacent teeth. Both bridges and crowns are permanent replacements for missing and damaged teeth. Dental Bonding – Bonding is used to repair chips, gaps, and heavy staining. A composite resin material is applied and sculpted over the damaged area. Then the resin is dried with high-intensity lights. Bonding is a fast, relatively inexpensive way to repair a variety of minor dental issues. Tooth Contouring – Also called tooth reshaping, this is a procedure used to fix chips, worn edges overlap, and grooves. The dentist uses a polishing instrument to gently, often subtly re-shape the tooth by removing enamel. X-rays are taken beforehand to ensure the structural integrity of the tooth is solid. Tooth contouring is most often quick and painless, although a follow-up visit is usually required. Guards – Both mouth guards and night guards have cosmetic dental purposes. Mouth guards protect teeth when playing sports or engaging in other potentially head-rattling activities. Night guards stop nighttime tooth grinding. 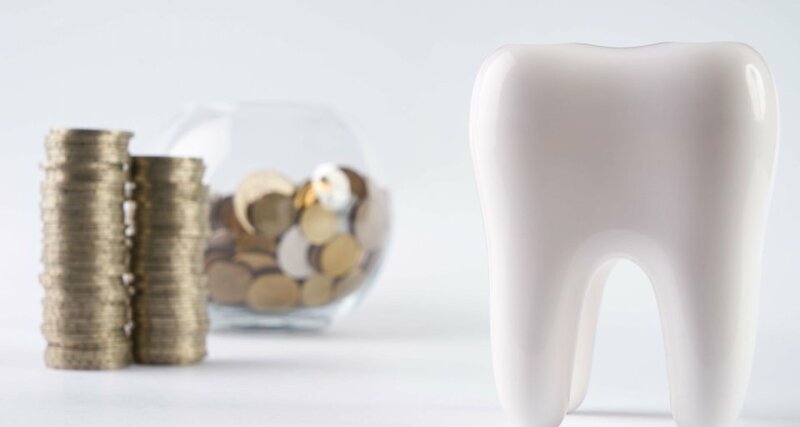 While both types of guards are available over-the-counter, only a dentist can take a mold of your teeth to create a custom-fitting appliance. Halitosis – Bad breath is actually an issue which often requires the help of a dentist. While occasional bad breath can be alleviated by brushing, flossing, and mouthwash, chronic halitosis can be a sign of a more serious issue. Frequent, seemingly-unstoppable bad breath can be caused by gum disease, a sinus infection or even a problem with your lungs or heart. Only a dentist can properly diagnose and treat severe bad breath. Most credentialed, experienced dentists will have no problem whitening your teeth or performing other common cosmetic procedures. But more intricate cosmetic procedures require a dental professional with specialized training such as an orthodontist or a prosthodontist. An orthodontist deals with alignment and positioning of teeth and jaws. This is the type of dental professional who can straighten your teeth using braces or similar hardware. An orthodontist can also help with jaw pain and other jaw issues. A prosthodontist specializes in replacing missing teeth. Treatments from a prosthodontist include dentures, crowns, bridges, caps, and implants. Many dentists have training in prosthodontic procedures. Some cosmetic procedures can be fairly expensive, especially ones which involve oral surgery or tooth replacement. Unfortunately, dental insurance isn’t always an effective solution. While specifics vary by policy, most dental insurance does not cover purely cosmetic procedures. Instead, dental insurance typically only covers procedures which are medically necessary. Tooth replacement, oral surgery, and other complex procedures can sometimes meet this standard. But even when they do, dental insurance will typically only cover 50% of the cost. How Can I Save on Cosmetic Procedures? For many people, the best way to save on cosmetic procedures is with a dental discount plan. This is a membership club which provides members with instant savings of 15% to 60% on a variety of dental procedures, often including cosmetic procedures both major and minor. 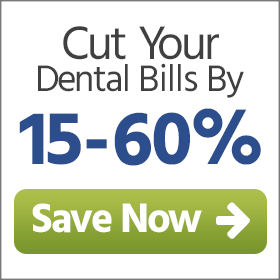 Over 100,000 dentists and dental specialists accept dental discount cards. You can potentially find big savings on braces, dentures, caps, implants and other procedures – even if those procedures are purely cosmetic. Members present their membership card directly at the time of service for instant savings. Who Benefits from Cosmetic Procedures? Everybody! Don’t think of cosmetic dentistry as a vain luxury. Straight, beautiful teeth have numerous real-world benefits. Children and adolescents who feel comfortable with their smiles have increased confidence and social skills. Seniors report decreased depression when the health and look of their teeth are improved. All people of all ages feel better about themselves when they have a great looking smile. If you’re uncomfortable with the way your smile looks or feels, consider cosmetic dentistry. With a dental discount card, cosmetic procedures can be affordable for practically any budget. Now that’s worth smiling about!